Quality Management System (QMS) Certification. 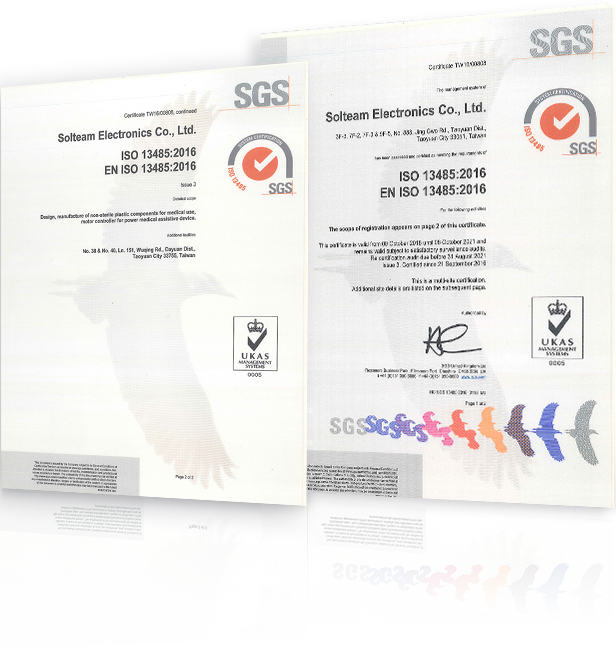 ISO 13485 and the regulatory requirements are intended to ensure that Solteam Medical is consistently designing, producing and placing onto market medical devices that are safe and fit for their intended purpose. Our company QMS embraces each stage of the manufacturing process, from design and development, through tooling and injection molding, to final assembly, packaging and distribution.